A valley-facing suite in Panchgani overlooking the pristine valley with access to the pool and a multi-cuisine restaurant. We didn’t make that up! Read on to know more. A single room with a double bed, an adjoining living room, a private balcony that offers a panoramic view of the valley and a pool to chill in; doesn’t it sound too good to be true? Well, the good news is that this is exactly what this valley facing suite in Panchgani is offering. A three-star boutique property, it is located 4,200 ft. above the sea level near all the touristy spots there are to see here. They also have a multi-cuisine restaurant that lets you soak in the scenery as you eat your meals. While the host is often on the property available for any kind of guidance that may be required, his staff fills in for him in his absence. The room has all basic amenities including free wi-fi and free parking. 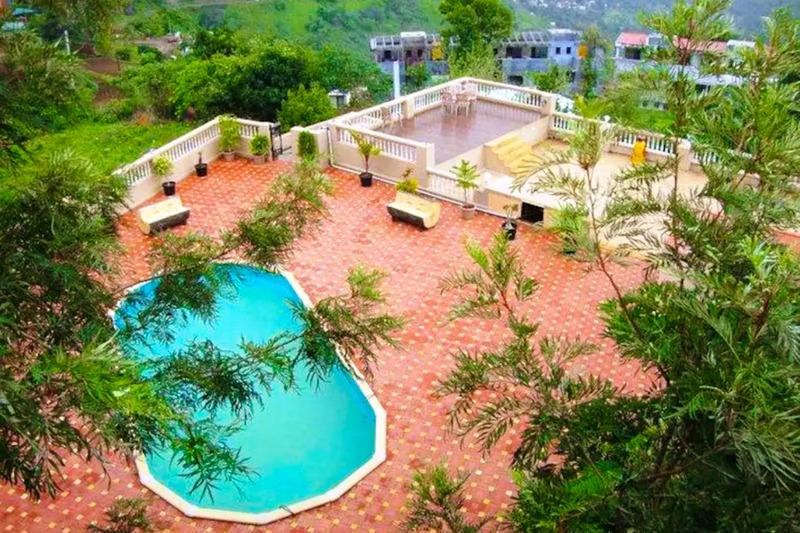 For INR 4,600 for two per night, this is quite the place for a weekend getaway. Panchgani has been struggling to safeguard the nature given the influx of tourist weekend after weekend. If you’re here, do your bit and don’t litter. Also, carry rain essentials if you’re planning to venture out in this season.